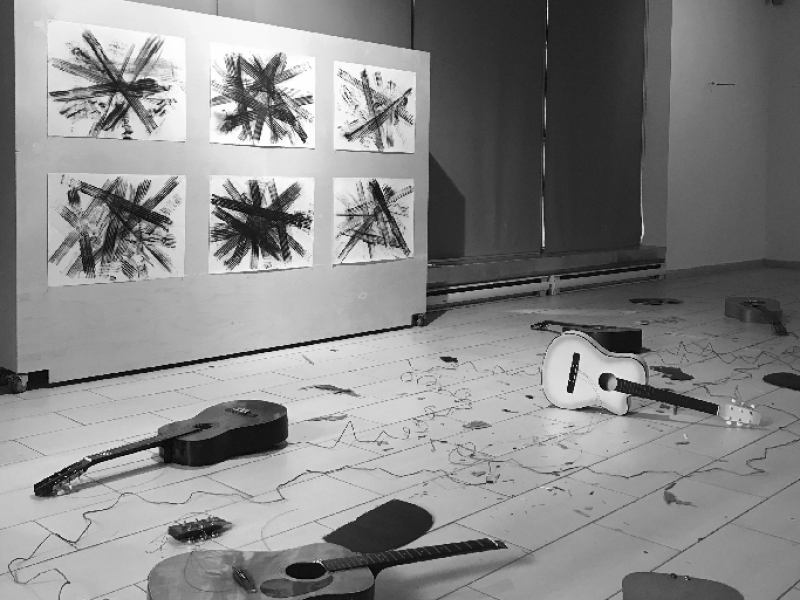 The Khodrdegraphies are a series of actions with acoustic guitars using coal on fabriano paper to realize different frottages on the strings of the instruments. The actions extend to the use of different string instruments (violin, jarana, mandolin, etc. ), as well as experimentation with different types of charcoal and inked objects. Musical improvisations generate different graphic results that arise from the dialectic and constant interaction between sound and visuality.